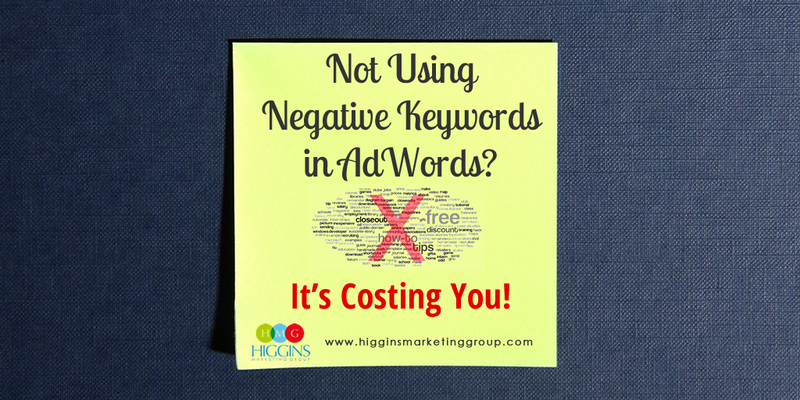 These are called negative keywords, and they are a much bigger deal than most novice AdWords managers realize. The first reason is fairly obvious, and I’ll illustrate it through an example. Let’s say you are a local printer who specializes in designing and printing business cards. In this case, it would be a good idea to add negative keyword phrases like “do it yourself” and “print at home” to your account. People using these search phrases just aren’t prospects for you. Without adding these negative keyword phrases, your ads may show to these folks. The result? They either 1) realize your ad is not a fit and they ignore it (hurting your click-through-rate in the process) or worse… 2) they click on your ad (costing you $) and then immediately find that you are not a fit for their needs. The second reason is something folks don’t often think about. By weeding out all the %$@* traffic over time, you are building a flow of much higher quality, on-target traffic to your website. This is important because higher quality, on-target traffic will ultimately lead to higher conversions and more sales. So the use of negative keywords results in two huge advantages. It reduces wasted spend (saving you $) AND it increases the chance of you generating that lead or making that sale. Negatives really are a big deal. If you’re not currently adding negative keywords as part of your regular campaign management activities, I’d encourage you to start today and then continually add negatives every week. It’s well worth the effort! First, you’ll need to take a look at the actual user search terms that have been triggering your ads in the past. 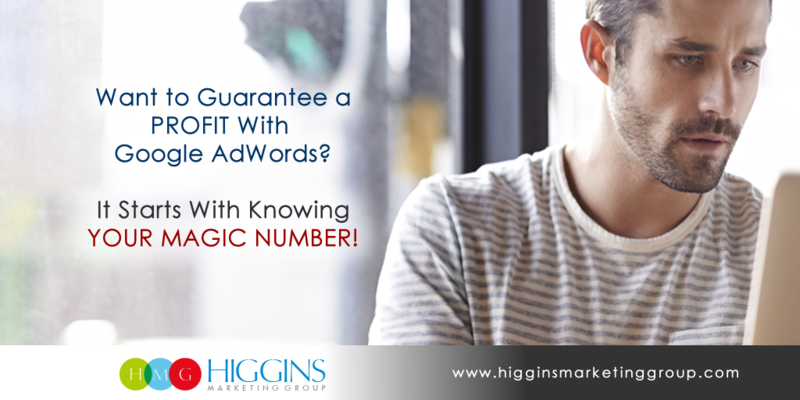 You’ll then use this information to pinpoint keywords that are off the mark for your business. It’s easy to find this information within your account. At the “All online Campaigns”, the individual campaign level, or the adgroup level, click on the Keywords Tab. Then click on the Details dropdown menu. Then select All under SEARCH TERMS. From here, take a hard look at the search terms being used? Are any of these terms clearly off the mark? Maybe looking for something else entirely? If so, these are search terms that should be included as negative keywords. This will not only prevent low quality clicks in the future… but those dollars can now be applied toward higher quality clicks! Simply check the box next to any keywords you’d like to add as negatives, and then select the “Add as negative keyword” button at the top of the keyword table. 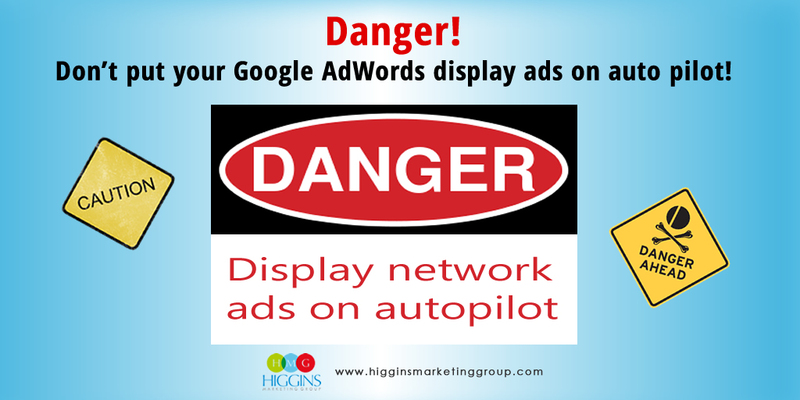 From there you can either add the selected negatives at the ad group or campaign level. That’s it. Quick and easy! Hope this helps! If you have any questions of comments, don’t hesitate to post below. If you’re a little unsure about this or how to manage other areas within your AdWords account, check out our 100% Free AdWords Checkup process.